"Good grief, what can I say about Watchmen that hasn’t already been expounded at book length by others? Well, there’s this. In another thread, on this forum, we were having a discussion about how the original Secret Wars offered a lot of super-fights that were accessible to new readers, but ultimately didn’t make much difference in the Marvel Universe. Crisis on Infinite Earths, on the other hand, aspired to re-write the whole DC continuity, but it pays tribute to every hero of comics past in a way that couldn’t really be appreciated by newbies. Neither series really shines in the character development department. Was anyone wishing they could see more adventures of Lyla the Harbinger afterwards? Lady Quark? Me neither. Watchmen’s biggest accomplishment is nailing all four at once: accessibility, depth of homage, finality, and character interest. Alan Moore introduces not one, but two whole generations of costumed heroes that we’ve never seen before. Yeah, they’re based on the Charlton team, but I never read those, and I had no trouble following Watchmen. He then puts these characters through a clearly defined plot that changes not only them, but their world, irrevocably. Moore makes all these characters perfectly understandable from the get-go, from the detached Dr. Manhattan to the dweebish Night Owl to the “trapped in her mother’s story” Silk Spectre II. And yet the story also repays ample dividends to those familiar with the history of 20th century comics, who know who Joe Orlando is, who understand the irony of a comic book author kidnapped to a deserted island to write monster stories in an era when superhero comics have bombed. Meanwhile, Dave Gibbons gives us an endless list of artistic bon mots, from the changing color schemes that imply flashing neon, to nine panel pages homaging Will Eisner, to the justly famous palindromic issue. 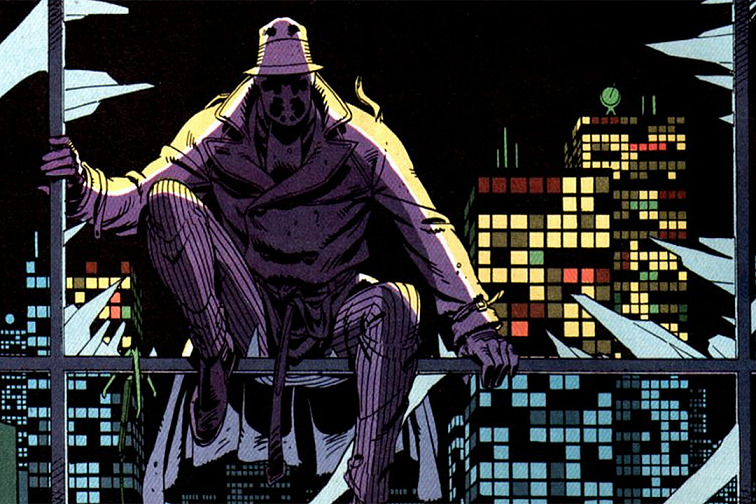 Watchmen’s legion of “grim and gritty” imitators are not its fault. This story is exactly as dark as it needs to be, and its internal examination-by-example of the superhero genre remains one of the best out there." Anyone who knows me at all knows that, if I were dead, I'd be rolling in my grave right now. I like Watchmen, I respect Watchmen, but I feel it is VERY VERY overrated. Thus, knowing that my 1pt honorable mention put it over the line to grab the #1 spot utterly kills me. YES, the tallies for the #1 and #2 spot were that close. I strongly believe that the reason Watchmen, Dark Knight Returns, and Killing Joke are pretty much the three most revered graphic novels in all of comicdom has more to do with when they were published than anything else. Comic shops and the direct market were first coming into their own in the mid 1980s, and it's the first time we started seeing industry hype targeted at adults. Whereas we know how to filter this out as white noise these days, fans of the time didn't and thus believed these were the most important works of all time. Some still do. I'm very glad Killing Joke didn't make this list, surprised Dark Knight Returns didn't rank in the lower portion, and utterly ashamed that Watchmen made #1, and that I helped to make it happen. Great work. Belonged in the Top 30. Yeah, this one surprised me too. Certainly historic, and it does have serious artistic merit but definitely not my favorite by a long shot. If it makes you feel any better: This story was nominated in the top ten by nine different people, which blows away every other entry on the list. Even speaking as the person who voted Watchmen #1 and Dark Phoenix #2, I would not have been sad or surprised to see those two reversed in the overall rankings; they are both great in their own ways, and both also set unwelcome precedents. I can't personally vouch for Usagi Yojimbo's quality since I haven't read it yet, though the enthusiasm this forum has for it has inspired me to pick up the first volume of its omnibus collection. 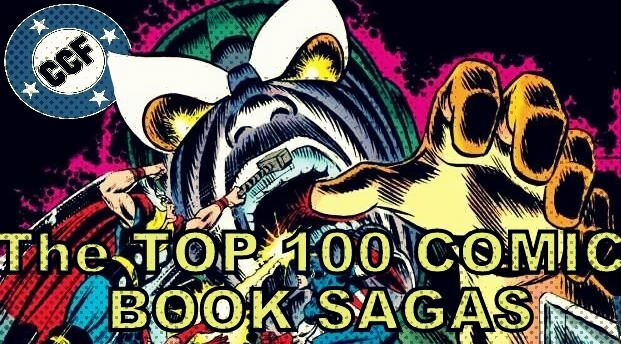 Everything else in our top ten is revered by comics fans, so I'd say that even with our small sample size, our poll did a good job at identifying highly worthy series. Sometimes it's hard to tease out "historically significant story" from "excellent story," and if someone wanted to argue that Watchmen was more important for its historical significance than for being an engrossing work of art, I might agree, even though I ranked it #1, vaulting it over Sakai and Claremont. Oh yeah, I certainly don't fault anyone voting it up and it was bound to place high. I expected Top 10, hoped for Top 20, and feel it deserved Top 30. #1 was a surprise. Really no surprise at all. 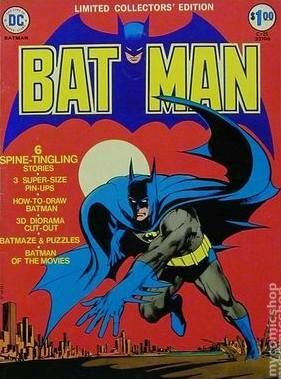 Simultaneously one of the most important and ground-breaking comics and a study in the possibilities of the art form. Again another series I didn't feel the need to vote for knowing other's would place it high in the rankings. I don't believe it should be #1, but it was a huge success and changed comics forever after it (not necessarily) all for the better. But Moore and Gibbons created a truly incredible and great comic I will admit. I'm slightly surprised but can't say which work I would've otherwise expected to come in at # 1. If I hadn't seen the votes come in, my money probably would have been on New Frontier. Not one I voted for, but I would have understood the selection entirely. I totally left it off list , but not because it's not great, but I felt a mini series was a bit of a cheat over the catching lightning in a bottle of a regular series. Bedsides that, I can see it as #1. I would have thought something older like the Lee/Ditko ASM or the O'Neil Adams GL/GA would be #1. The latter would have shocked me almost beyond the capacity for words. I would put this Saga in my top 30 because Moore and Gibbons treated us something different and unique at the time its came out and had many changes in this series that keeps you on your edge. I'm moderately-conservative and right now -- I have to agree with hondobrode here because it is very unreadable now to the extent of it. For what he (hondobrode) wrote ... makes sense and right now and I've just read the complete book and sad to say this -- that this book is not an enjoyable read for me now. Sorry Watchman fans ... I just don't care for it now.